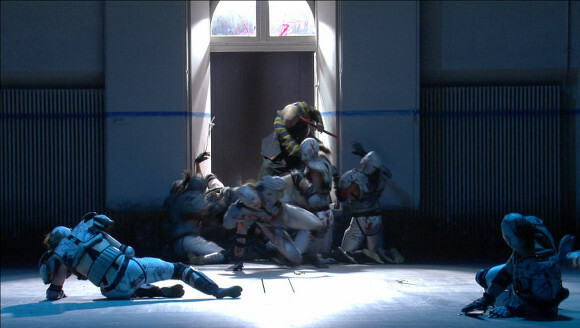 Dieter Dorn’s production of Idomeneo, filmed at the Bayerisches Staatsoper in 2008 has some interesting ideas and some arresting images but ultimately it’s hard to figure out where he is trying to go. There’s a lot to like. He clearly places Elettra as a member of the House of Atreus which makes her more believable. He also creates credible personalities for Ilea, Idamante, idomeneo and Arbace. No mean feat. Some of the images are quite arresting too. There is lots of blood and plenty of stage action. The sets are chaotic piles of stuff. Idamante gets a killer sea monster hunting rig. Then there is the ending. Instead of finishing on the “final chorus” the chorus drape the set with white sheets and for ten minutes the orchestra play what is listed in the booklet as a ballet but there is noone on stage and nothing is happening. Going out on ten minutes of the most boring music in the opera is just bizarre. The performances are generally very good indeed. 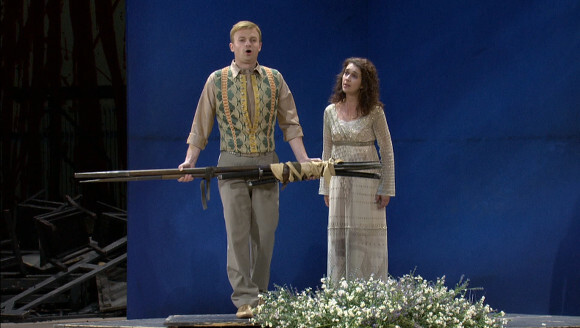 John Mark Ainsley comes off as an appropriately conflicted Idomeneo. Idamante is given to a tenor, in this case the entirely admirable Pavol Breslik. He impresses me every time I see him and this is no exception. Juliane Banse makes the most of Ilia. This Ilia is clearly struggling to come to terms with her situation and she seems very young. The way Banse displays her personal journey and growth is really quite touching. Elettra, in the inevitable red dress (is this in the score? ), is Annette Dasch. She manages to be just short of batshit insane and refrains from screeching. She’s helped by direction that clearly places Elettra as who she is with her own personal torments, not just some insanely jealous bint. There’s an unusually complete portrayal of Arbace too from Rainer Trost. In his hands it’s much more than a walk on part. These fine performances are well supported by conductor Kent Nagano and the very polished BSO orchestra and chorus. Video direction is by Brian Large and is eccentric even by his standards. There’s plenty of filming crowd scenes by going from face to face in close up and similar small screen techniques but it’s also as if he has finally realised he’s filming in HD and gone totally overboard. There are quite a lot of shots taken right from the back of the theatre where more of the frame is occupied by the audience and the orchestra than the stage action. I have more sympathy with his treatment of the final, static, ten minutes. Instaed of lingering on the white sheeted nothingness he takes us on a tour of the wild rococo decoration of the restored Cuvilliés Theatre, where the piece premiered in 1781. Technical quality is top drawer. It’s a 1080i HD oicture and very solid DTS HD surround sound on Blu-ray. There aren’t any extras and the documentation is basic. This is rather sad as this production could use some explanatory notes or interviews. Subtitle options are Italian, English, French, German and Spanish. There aren’t a lot of modern video recordings of Idomeneo and this release is currently the only one on Blu-ray. 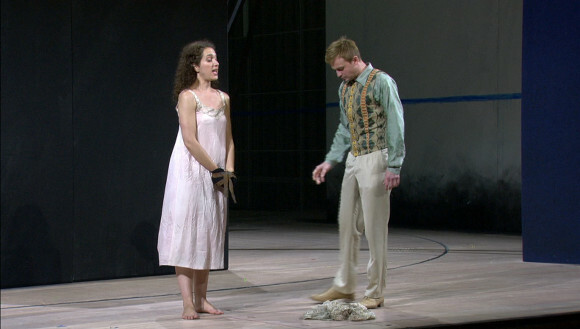 Probably the best comparator is the Salzburg 2006 production which features a more coherent production but even more distracting video direction. This entry was posted in DVD review and tagged ainsley, banse, bayerische staatsoper, blu-ray, breslik, dasch, dorn, large, mozart, nagano, trost by operaramblings. Bookmark the permalink. 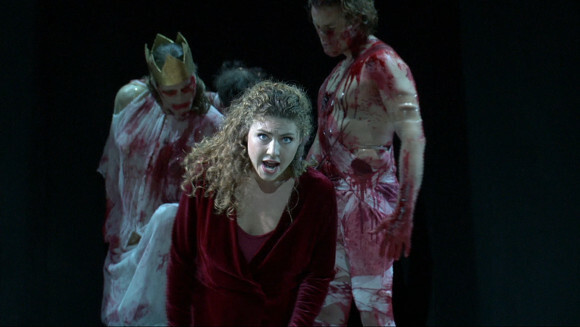 Loved that ending with Elettra being dragged to hell à la Don Giovanni. I think the whole characterisation of Elettra and her back story works really well. 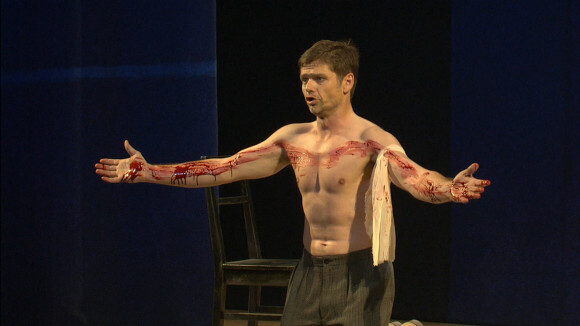 John Mark Ainsley as Idomeneo the conflicted father and king makes me cry. Every time. Pavol Breslik is terrific, as always. Rainer Trost shirtless–what’s not to like?